Between 2003-2004 we conducted 100 hours of interviews with more than 50 leaders of the struggle against apartheid. With help from the Ford Foundation, we are now working with the Nelson Mandela Foundation’s Centre of Memory to archive this historic collection. Each one of those recordings has a story behind it. Sometimes, the story is better than the tape. 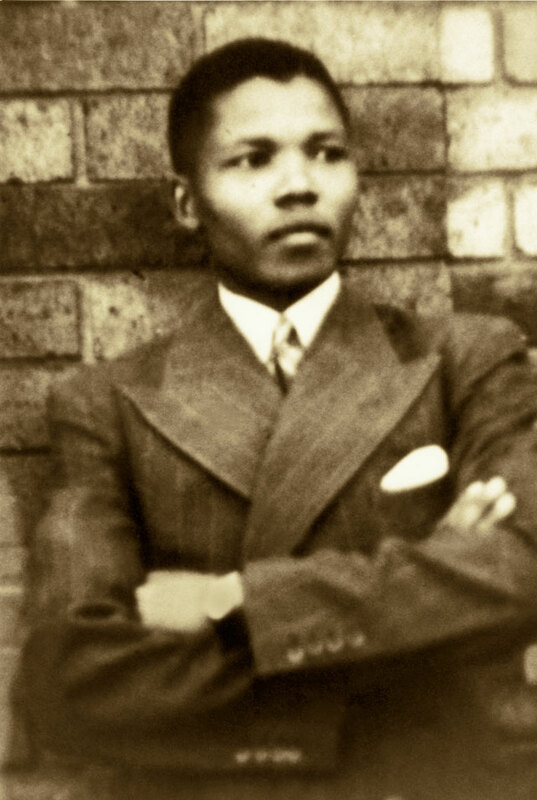 Over the 27 years Nelson Mandela was in prison, he became more and more of a mythical figure – an icon. Part of the reason was for all that time, he was hidden from public view. No photographs. No recordings. The public didn’t hear Mandela’s voice for 27 years. But there were recordings. Secret recordings. But back in the 70’s, one of his jobs was to secretly record and transcribe prison visits between Mandela and his family. One day Brand brought home one of these cassette tapes to transcribe and forgot to return it to prison authorities. For two decades, he left that tape in a box in his garage. Brand happened to mention the tape when I interviewed him back in 2003 for our documentary.. It took me 2 months to convince him to let me hear it. One side of the cassette said Christian Rock. The other side didn’t say anything. I remember putting it in a cassette player, thinking – this is the only known recording of Nelson Mandela’s voice in prison. This isn’t just history, it’s news. And then… I hit play. It was a recording of a prison visit between Winnie and Nelson Mandela. Unfortunately, the tape was so old and badly recorded you can’t really make out what they’re saying. In the end, one of the most historically important archival discoveries of my life was…background ambience. 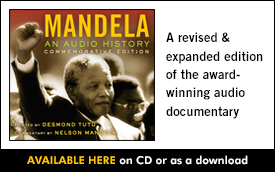 You’ll hear it about 4 minutes into Chapter 3 of Mandela: An Audio History – The Robben Island Years. Subscribe to the Radio Diaries Podcast on iTunes. Radio Diaries is part of Radiotopia from PRX, a collective of the best story-driven podcasts on the planet. This week’s episode is supported by Animoto, an online video builder.